The Cisco Coarse Wavelength-Division Multiplexing (CWDM) Small Form-Factor Pluggable (SFP) solution allows enterprise companies and service providers to provide scalable and easy-to-deploy Gigabit Ethernet in their networks. 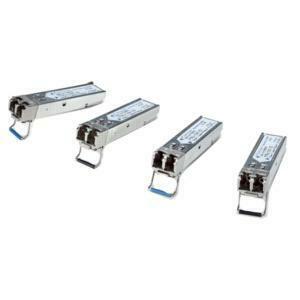 The product set helps enable the flexible design of highly available, multiservice networks. The Cisco CWDM SFP solution is a convenient and cost-effective solution for the adoption of Gigabit Ethernet and Fibre Channel in campus, data-center, and metropolitan-area access networks.